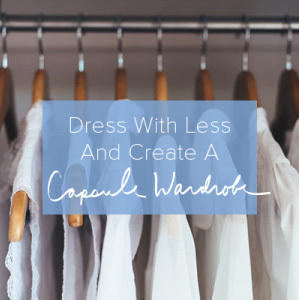 Your approach and the steps you take may look completely different, but if you want any of your simplifying efforts to stick, it is so important to understand why you want to live with less. You can spend your life in a cycle of shopping > organizing > accumulating > decluttering > holiday gift overload > spring cleaning > repeat, or you can identify your why and break the cycle. Why do you want to live with less? Once you know your why, write it down and use it as emotional leverage. Your why may change over time and it’s ok to have more than one reason. To help you brainstorm your why, here are 8 compelling reasons to live with less. Clearing the clutter gives you the space you need to listen to your body and address other health issues as well. When you begin to eliminate the stuff and the fluff, it will become easier and easier to clearly identify and protect the things that your heart knows are important. While you can catch glimpses of joy in a busy life, crushing debt, jammed schedules and the need to always keep up and catch up prevent joy from being sustainable. Letting go and getting simple provides time for long walks, slow meals, meaningful conversations, or anything else that brings you real joy. How many times have you gotten lost mid conversation with someone you care about because you were thinking about your next appointment or obligation? If you are missing out on real connection because there is too much on your plate, or because your phone won’t stop reminding you that everything else is more important, you are missing the whole point of this big, beautiful life. Stop saying hurry up and put people first, even before you declutter one more room. Peace and quiet shouldn’t be considered a luxury. You deserve moments of complete silence everyday. It’s a noisy, noisy world but you can better navigate and appreciate it by fueling up on silence and solitude. Travel light. Live light. Feel light. Be light. It’s as good as it sounds. This understated reason fuels all of the above. When you start intentionally spending time the way you want instead of the way you have to, everything changes. Everything. 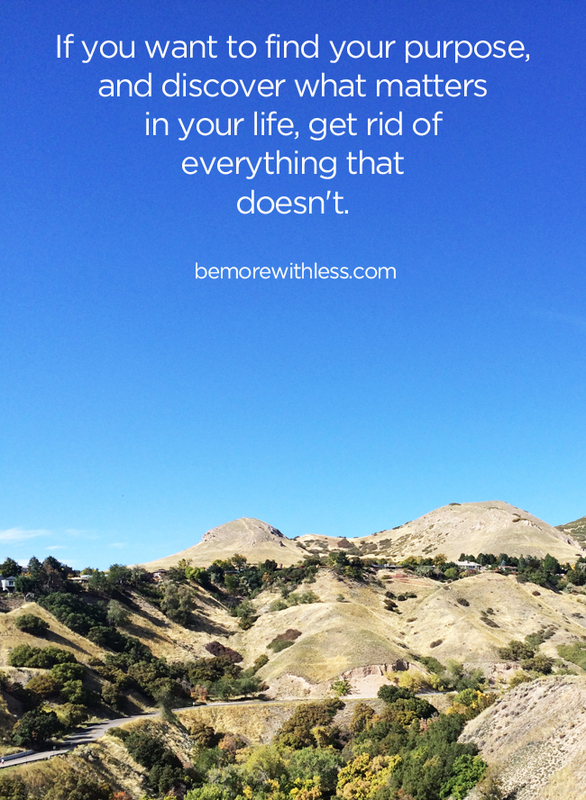 If you want to find your purpose and discover what matters in your life, get rid of everything that doesn’t. Which why resonates most with you? Why do you want to live with less? 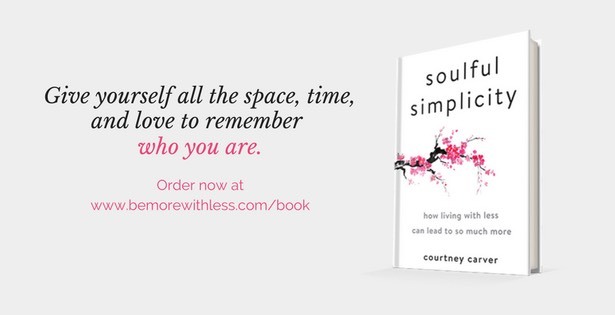 I really love this one in particular, Courtney: “If you want to find your purpose and discover what matters in your life, get rid of everything that doesn’t.” My main purpose for simplifying my life is to connected with the deepest part of myself that’s beyond all the coming, going, and activity. We’re planning to move from 2200 square feet to 1260 and pretty much everyone we’ve told thinks we’re weird (or worse), but that’s okay, we’re happy about it. Plus I think some of them are a little jealous. For me it’s time, which, as you point out, kind of includes the others. Time to connect, to do nothing, to be happy. … and less time spent on cleaning! Lol. You should copyright #6. Well said. I love this post. 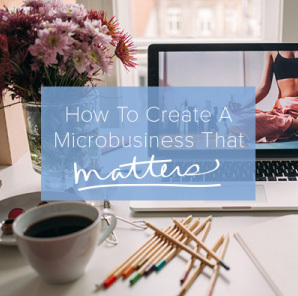 I have embraced a minimalist lifestyle in all aspects and have done so for nearly 3 years. I have to be ever vigilant and continue to “equalize”, as all kinds of things continually try to creep in. You are so right that the world screams, “Look at me! This is really important!”. I feel like a sentinel at the doorway to my heart, my health, and my home. I love this. thanks for posting it. This is something that I have been thinking a lot about. Good motivation. Love your article and your links. Over the past 2 years we have been on the minimalist journey. I just started blogging about it because it has been so freeing! Who knew getting rid of little used items could bring such joy. With less to keep track of, I know have time for a hobby! I have an opportunity to “travel light” next week when I go to Connecticut for a visit (only 4 days – how much do I need?!) What trips me up is the baggy of liquids…. I usually give up and just check a bag so things can go in that without being in teeny tiny bottles! I need to figure out what is essential and go with that. OK I like that “what is essential”!? – as I scale down and choose to keep those things that are essential to me, to my life and my being. In my small home I’m finding less is much more comfortable. I have an opportunity to travel that way…..